With her third release, Anglo-Pakistani singer-songwriter Rumer fully embraces the influences she’s merely hinted at on previous releases. The results are near-perfect. It would be easy to forgive mistaking Rumer’s Into Colour for a lost ‘70s soft pop gem. So of the era is both her voice and arrangements that the only thing betraying the album’s 21st century origins is her 1979 date of birth. To achieve such an era-appropriate sound and feel, singer-songwriter Rumer enlisted the help of Rob Shirakbari, music director for Burt Bacharach and Dionne Warwick, and Darryl Hall’s rhythm section. Together with Rumer’s Karen Carpenter-indebted approach to ballad singing, they manage to transcend mere imitation or pastiche to create an album full of melancholy lyrics and heartbreaking melodies befitting the best of those who came before her. There’s an effortlessness with which Rumer approaches these songs, deftly navigating the trickier aspects of the atypical changes and imbuing in each a sense of class and subtle sophistication generally derogatorily applied to adult contemporary. Far from such territory, hers is an approach to pop music that owes a heavy debt to the singer-songwriter movement of the early-to-mid-‘70s, carrying with it a warmth and immediacy generally lacking in the genre’s later incarnations. Given this, it’s not surprising much of the album resulted from her time spent living in Laurel Canyon following a fairly public battle with a bipolar disorder that largely rendered her unable to continue performing and recording. Channeling the physical and emotional toll mental illness can inflict into her art, Rumer manages with Into Colour to create an album of subtly affecting ballads that stand along with the best of the Carpenters, Dusty Springfield and Dionne Warwick. As with her previous releases, Rumer’s vocal performance here will draw innumerable comparisons to Karen Carpenter. Her vocal resemblance in both tonality, phrasing and crystalline enunciation are so strikingly similar they at times border on eerie. Far from mere imitation, her voice and approach is wholly her own, yet on par with the late great pop songstress. One can’t help but feel they are listening to a lost Carpenters’ track, however, when listening to “Sam”. With this, there is a sublime purity to her voice rarely heard elsewhere; an almost intangible quality that carries with it a very specific feeling rather than any sort of easily defined quality. While it may cause some listeners to do a double take thinking they’ve stumbled across lost Karen Carpenter tracks, her voice serves as an ideal instrument to interpret such ‘70s-indebted material. Overall, the results are absolutely gorgeous. 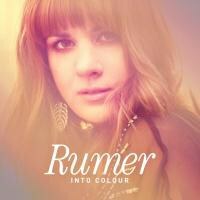 Throughout, Rumer crafts stunning soft rock equal to the best of the original era. Effortlessly emulating those who made their names in the early years of the genre before delving into self-parody, Rumer finds that sweet spot between saccharine and sweet. Achieving a near perfect balance between the two, she shines on tracks like the soulful “Reach Out”, the sultry “Baby, Come Back to Bed” and the somewhat anomalous, disco-infused “Dangerous”. Unlike the remainder of Into Colour which largely adheres to more slow simmering ballad territory, “Dangerous” comes out swinging. A delightfully up-tempo pop number, it’s clearly crafted with aims at chart success. While a wonderful song in and of itself, it’s a slightly dishonest representation of the remainder of the album. Coming as it does in the opening moments, however, by album’s end its incongruity is largely forgotten. Throughout, her lyrics play as honest and intimate, coupled with melodies worthy of Bacharach and even Margo Guryan, whom she at times resembles vocally in her breathier moments. It’s the work of an artist maturing and coming into her own, embracing her influences and playing to her strong suits. Only on “Pizza and Pinball” do her lyrical strengths falter. Essentially an exercise in nostalgia, the song is pleasantly poppy with a catchy melody, however cringe-worthy lyrical couplets (“Say ‘hey’ like the Fonz / Eat pizza and play pinball” among them) tend to drag down the overall quality. When set against the rest of the songs here, “Pizza And Pinball” lacks a comparable sense of maturity and, in the process, comes across akin to some of the Carpenters’ more cloying compositions: harmless, if not a little trite. Ultimately, with Into Colour, Rumer has crafted an album full of impeccable pop balladry that, if there is any justice in the world, will bring her a broader audience the likes of which the Carpenters and their ilk saw at the height of their popularity. But perhaps she arrived some forty years too late for that.